In the charming, but little-known romantic comedy For Roseanna, the title character's doctor finishes up yet another house call and asks Roseanna's husband, Marcello, about their overdue account. Marcello suggests the doctor stop by the hen house on his way out and help himself to some eggs. The doctor explains that a few eggs can't com- pare with the sizeable balance. So Marcello responds, "Then why don't you just take the hen with you, and bring her back when we're even?" So even in rural Italy, physicians struggle with patient payment plans! For a long time in this country, patients have believed that as long as they send a few dollars to their doctor each month, the doctor ought to be satisfied. But modern economics prohibits such generous terms. And the much-discussed consumer-driven health plans are leaving patients owing ever-greater amounts. If you don't already have a clear policy in place that covers payment plans for patients - or if you haven't reviewed your plan for years - the time to act has come. Keep in mind that internal financing (allowing patients to pay you directly over time) should be a last resort. Find other ways to help patients satisfy their accounts. "Help patients" is a key phrase here. Design a financial policy that emphasizes your willing- ness to help the patient solve his or her dilemma - not that you will collect your pound of flesh, or else! Allowing patients to pay with cash, check, credit cards, or debit cards not only keeps you up with the times, it also speeds up your collections. 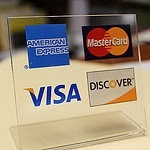 Troubled by the fees you pay to the credit card companies? You'll more than make up for that money with your savings in statements, postage, and billing staff time. Consider medical-specific credit companies, too. There are companies that offer separate lines of credit just for medical expenses. With these companies, your costs will be comparable to some of the higher credit card discount rates. Traditionally, practices have collected patient balances after the insurance company has settled its portion of the bill. But you can do better than that. Pre-payment works better. First, it speeds up your cash flow, and second, patients consistently pay balances more faithfully while they're still sick or injured. Review federal Truth in Lending Act rules as well as your state's laws regarding time payments. Agreeing to four or more installment payments makes your arrangements fall under the federal rules, sometimes referred to as "Regulation Z." Your plan must comply, or risk serious penalties if patient complaints make it to the FTC. Determine the minimum amount on which you'll accept payments. Balances under $50.00 to $100.00 probably should be paid in full. Determine who has the authority to negotiate payment plans. Set up clear guidelines for routine plans, but specify who can make exceptions. Consider outsourcing payment plans. Some collection agencies like offer pre-collect services that may be more cost-effective than handling it in house. I think it's an effective step to call Marcello. House call doctor is an excellent choice for your short-term and long-term health needs especially when you travel.